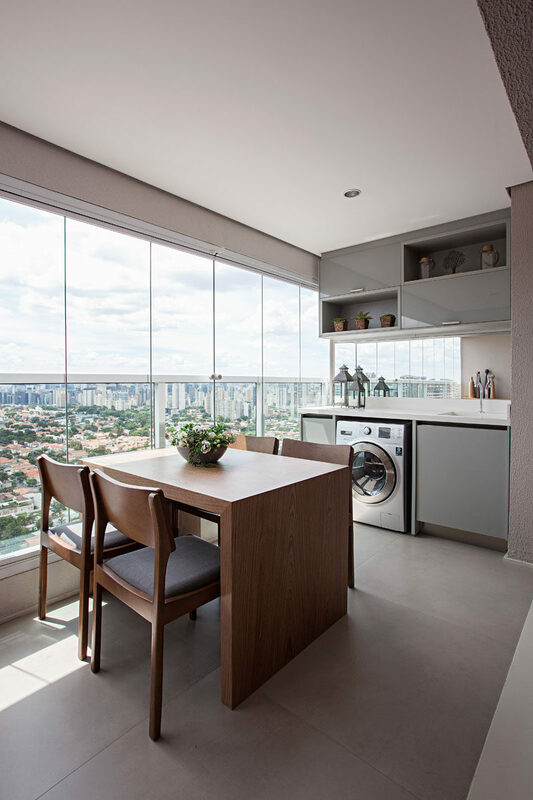 Architect Juliana Matalon from Estudio Ela Arquitetura, together with Carol Dantas, have designed the remodel of a small 355 square foot (33m2) apartment in Sao Paulo, Brazil. 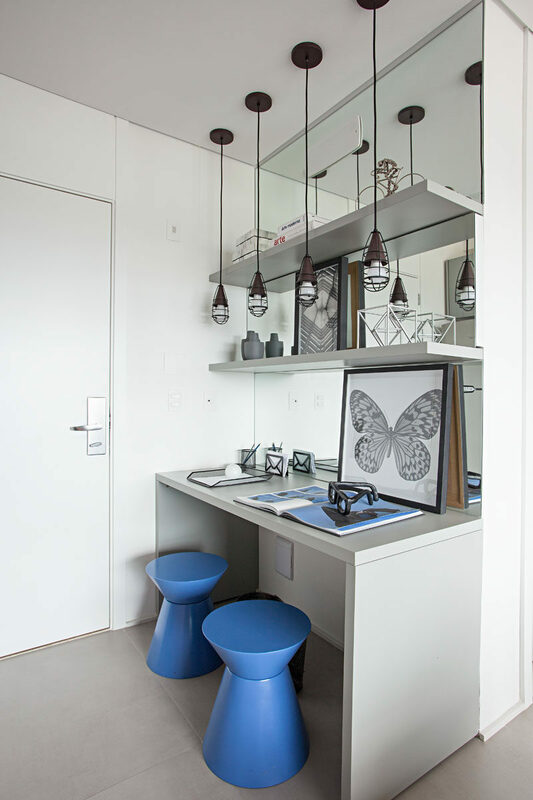 Stepping inside, there’s a desk area with a mirrored wall, that helps to make the entryway appear larger. Running alongside one wall is the combined kitchen and entertainment unit. 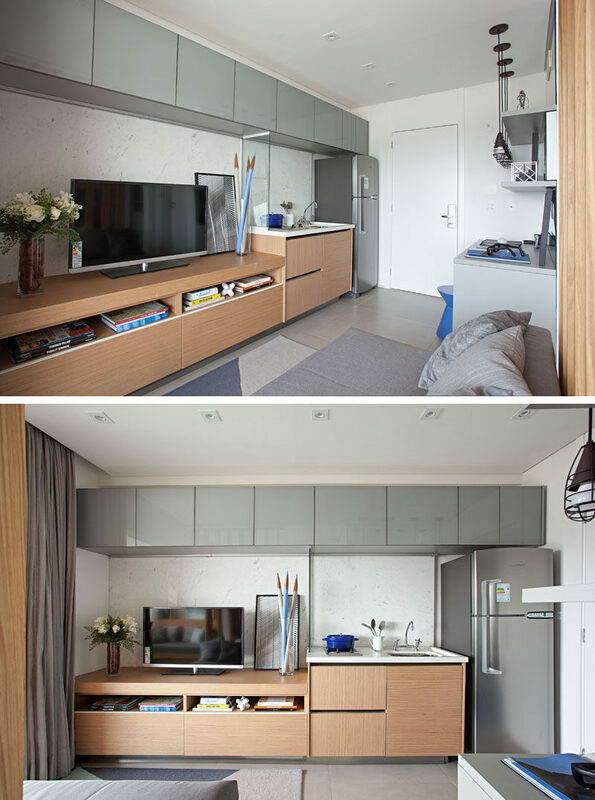 A grey section of cabinets runs along the ceiling, creating much needed storage space in the small apartment, while a small glass divider separates the kitchen counter and the entertainment unit. 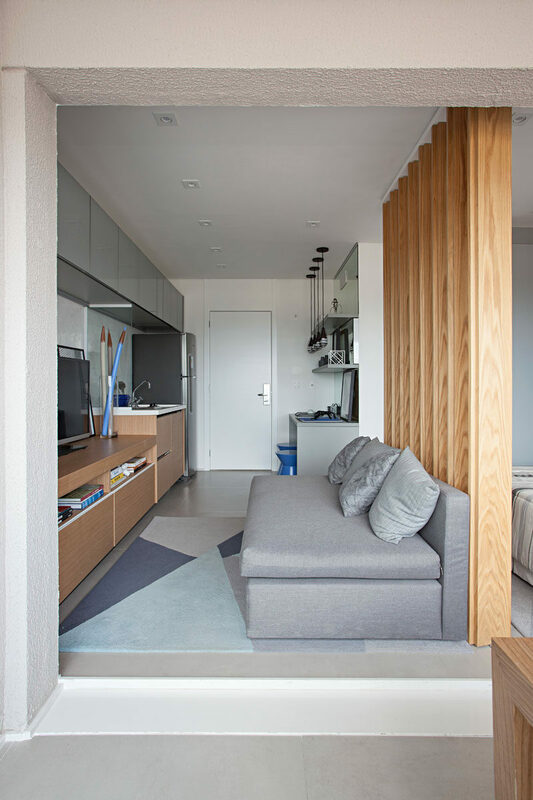 A small grey couch is positioned opposite the television, and a geometric rug adds softness to the floor. 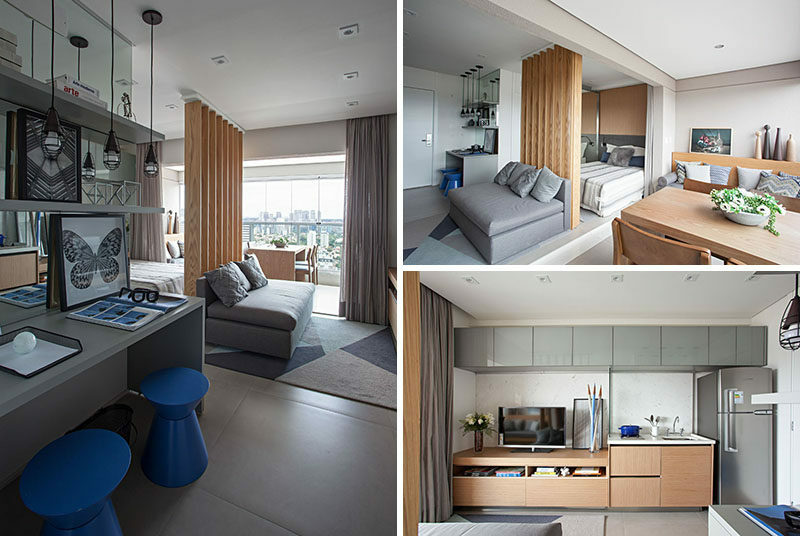 The living and sleeping areas of the apartment open up to an integrated balcony that has a living area, dining area and laundry space. Here’s a closer look at the dining area and built-in laundry space that has its own sink. 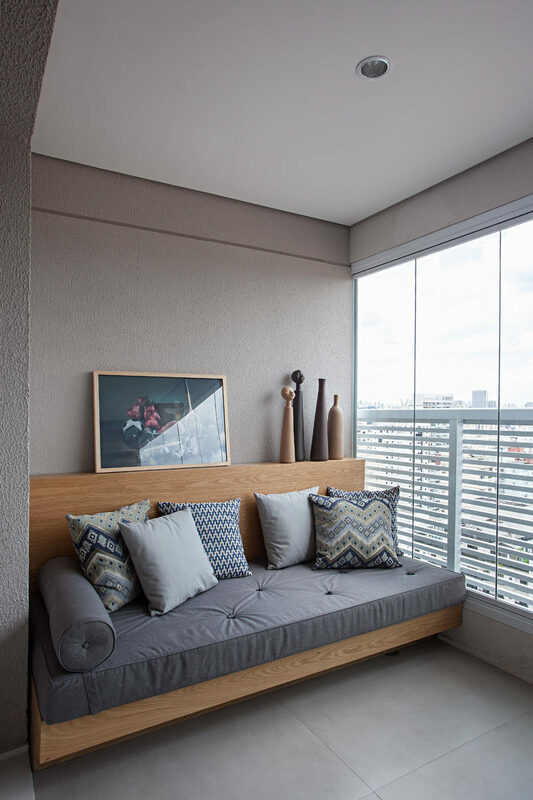 At the other end of the balcony is a wooden couch/day bed with a small ledge for displaying personal items. 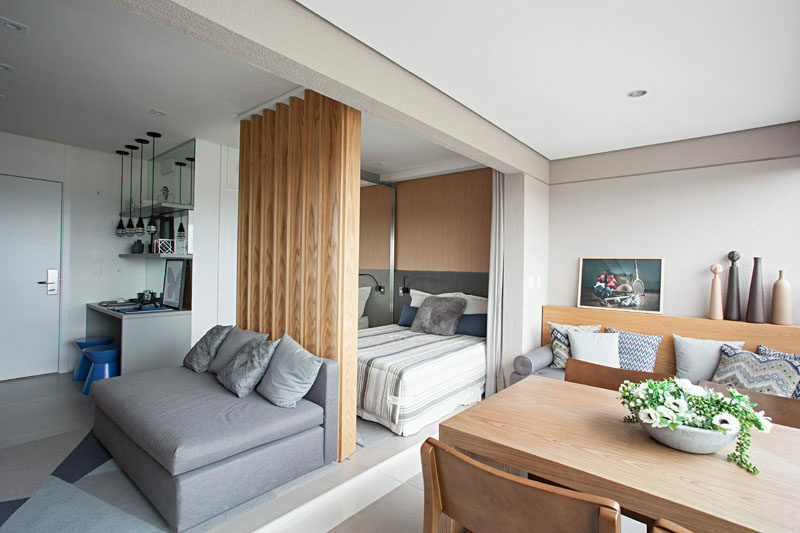 Back inside, and from this angle, you can see that the living area and the bedroom area are separated by a wood partition wall. 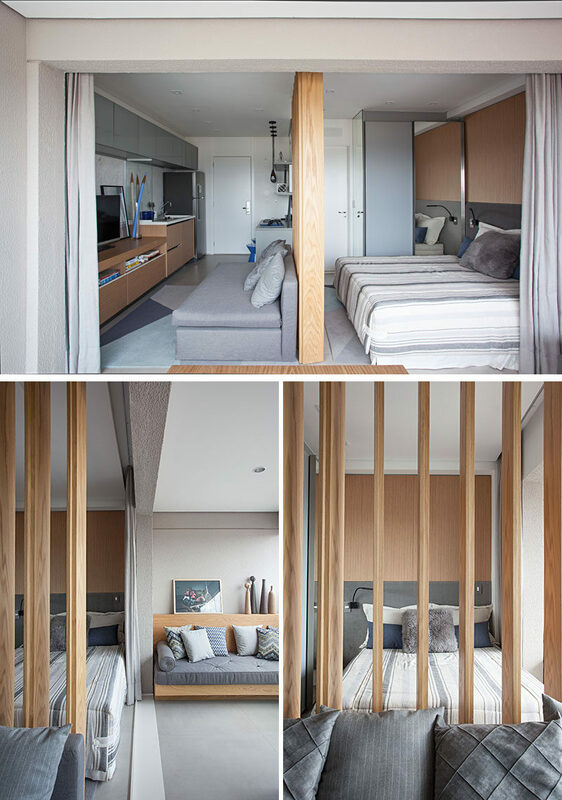 By using wood slat partition, light is able to travel throughout the apartment and helps to make the apartment feel larger. 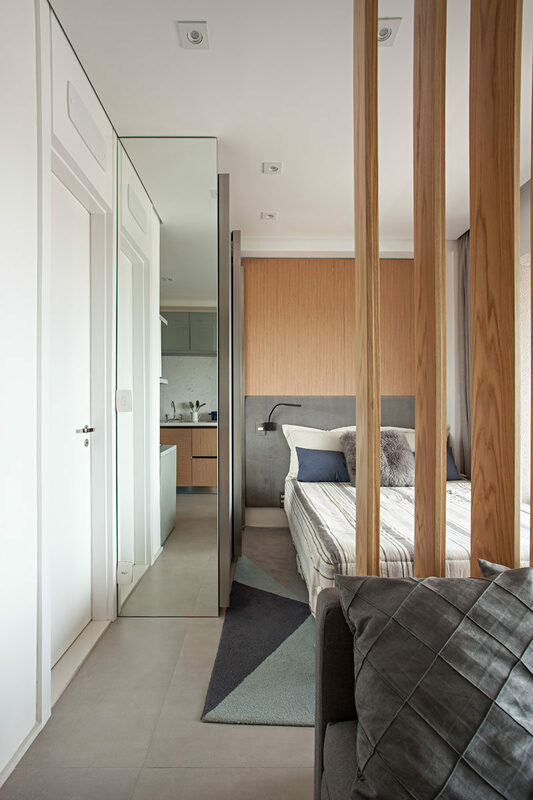 Off to the side of the bed is a wardrobe with a mirrored side and the door to the bathroom. 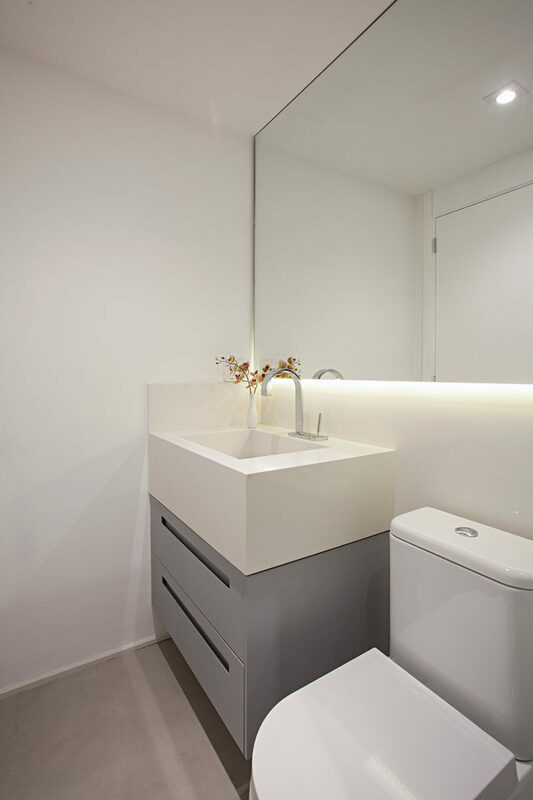 The bathroom has been kept minimalist with a simple grey and white vanity. Hidden lighting under the mirror creates added light in the small space.